As with all of California, the Graeagle area was initially inhabited by Native Americans. The Maidu in particular lived in this area and made encampments throughout the locale. The famous African American mountain man James Beckwourth discovered a nearby way across the Sierra’s in the 1840s that paved the way for immigrants to filter into this portion of the Sierras. The California Gold Rush of 1848-49 also lured lots of miners into the surrounding hills searching for gold. Then, farming families followed and they too migrated into the Mohawk Valley, the Sierra Valley and other areas of California. Ranches were established as the meadows were ideal for raising beef and dairy cattle, providing hay for feed. The plentitude of fertile soils in the area provided for the growing of wheat, potatoes, and other vegetables. These not only sustained the farmers and ranchers, but also supplied the nearby mines. Besides the famous mines along the downstream Feather River and the mines on the Yuba in Sierra County, gold was discovered above Graeagle in 1851 by a small group of miners who discovered a rich ledge of exposed gold bearing quartz high on Eureka Peak. This spurred a great influx of people into the area above Graeagle, in the present day community of Johnsville and Plumas Eureka State Park. Thirty six mines formed the Eureka Company, 76 the Washington Company and about 40 miners claimed the Rough and Ready. With mining comes development and in 1853 the tent city of Jamison City sprang up. It quickly evolved with 12 buildings, 6 of which were saloons. About 1872, the town of Johnsville came into existence, it being more of a business and family oriented community. Johnsville, adjacent to Plumas Eureka State Park, is still a small mountain community with one restaurant, The Iron Door and many historic looking buildings. A British company, calling themselves Sierra Buttes Mining Company entered the picture and consolidated all of the mines on Eureka Peak. Bringing in new technology of the day this mine improved profits and continued through mining cycles until the turn of the 20th century. Another mining venture, the Jamison Mine started in 1897 and continued to prosper until 1917. Little by little, these mines diminished with boom and bust times when by 1943 mining essentially halted. By then $25 million was extracted and 65 miles of tunnels were carved out of the hills of Eureka Peak. During the winter months mining slowed or ceased and miners discovered a new avenue for their energy and winter boredom through “long boarding” or “snowshoeing” (today’s ski’s). Competitions developed and were quite lively. A mechanized tramway had been built on the mountainside to transport gold ore. The miners soon learned to use this motorized lift to transport themselves during the winter time for these longboard races. The miners started above Eureka Lake and traveled about 1700 feet downhill, at speeds up to 80 miles per hour on homemade skis up to 12 ft. long and weighing up to 20lbs. People came from all around for these competitions and prize money sometimes was as much as $250, a vast sum in those days. The competitors developed early day waxes to put on their long boards to increase speed. It was called “dope”, a closely guarded concoction of pine tar, herbal additives and so many variations that remain a mystery to this day. The downhill combatants used only their grit, determination and a single wooden pole to balance, steer and eventually stop with. Together with the history of the long boarders and the tramway or ski lift, Plumas Eureka State Park is said to be the home of the world’s first ski hill. Today, the Plumas Eureka Ski Club continues the legacy by holding the historic long board races that culminate in the world championships at the old Eureka Ski Hill. Today, the area is home to Plumas Eureka State Park, which was established in 1959. The park displays remnants of its history through the preservation of many of the mine buildings left from the period, a rebuilt stamp mill, a blacksmith shop complete with docents, a wonderful museum and one of the areas best campgrounds. The park itself is a popular place to visit in the summer months for hiking, biking, backpacking, fishing, interpretive programs and history tours. In the wintertime, cross country skiing and snowshoeing are enjoyed along with the monthly longboard races. By about 1884, there were enough people in the area to warrant the establishment of voting precincts. Lumber mills were started in the area at about this period, near Mohawk and later by the present-day Plumas Eureka golf course. Clio, located a few miles south of Graeagle, became a hub for the timber industry by 1903 when a railroad was established there. By 1917, Clio boasted three mills, the Clio Lumber Company, the McKenzie Mill and the Burkhard and Gracey Mill. 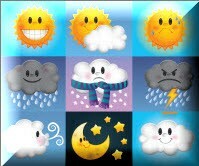 Today it is a small residential community. 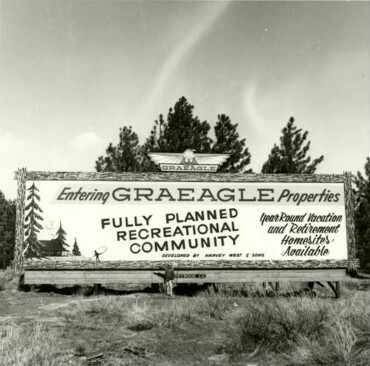 Graeagle began as a mill town, being part of a 12,000 acre timber tract acquisition by Arthur Davies from the Sierra Iron Company back in 1916. This vast parcel stretched from Blairsden to Calpine in present day Sierra County. Davies also owned a sawmill operation in Sardine Valley (located off of Hwy. 89 near Dog Valley and Stampede Reservoir) as well as a sawmill in Delleker, just outside of present day Portola. combination of horses, wagons and vehicles moved the assorted buildings to Graeagle. To this day, one can still see visible signs of the joining on the red houses that adorn the main street. Other dwellings also came from the Clairville and Delleker areas by placing giant logs under each to act as a skid and then they were methodically moved by either horse teams or Mack trucks to Graeagle. A millpond was created, a box factory built, molding and planing mills erected as well as drying kilns. More employee housing was added. A huge boiler was constructed next to the mill for generating steam power. Around 1920, family homes appeared along the main street. A steam line that ran across the highway serviced the large red houses on the hill (across from the current grocery store). A hardware store, a butcher shop and a slaughterhouse were built nearby. One of the many buildings still standing in the area is the old “dairy”, a stone building, built in the 1930’s, that is situated near the Blairsden bridge on the Feather River, just a short walk or bike ride from downtown Graeagle. Fresh milk was delivered daily to the family homes and the cookhouse, which is the present day Knotty Pine Tavern.This building also housed a pool table, barbershop, an upstairs beauty parlor and an adjoining ice cream parlor. A dance hall (the Graeagle Restaurant) and movie theater completed the offerings, along with a filling station, at the same location of the present day Chevron station. The old schoolhouse, now located at the intersection of Hwy. 89 and A-13, was known as the “Mann School”. Grades 1-8 were taught in the two room school, with high school being located over in Portola. And with over half of the town’s population being single, each and every “school marm” was courted regularly , got married and evidently they didn’t stay on to teach for very long. Today the schoolhouse building is home to several retail establishments. In 1922, a fire partially destroyed the store, clubhouse and theater. Story goes that the store fire happened as a result of a cover up for shortages in the payroll by one of the time keepers. He was found out and did serve several years in jail. But by mid-summer of 1923, the Graeagle store and the Knotty Pine Tavern were rebuilt and were reopened. A large dedication ball was thrown with nearly 500 people attending, supposedly the largest to that date gathering of guests and visitors in the county. Other structures and buildings in town included a potato shed dug into the hill across from the store, a tall white house across from the dairy that was both a stagecoach stop and hotel, two large three story bunk houses along Gray Eagle Creek, a blacksmith shop and the present day maintenance shop. The maintenance shop was built to accommodate locomotives, with a railway running in one door and out the other. One of the bunk houses burned to the ground in the 60’s and the other was dismantled by Tom Maher of Gold Lake and is now the Gold Lake Store. The Graeagle Lumber Mill shut down on the last Saturday in October of 1956. To commemorate this event, the mill whistle blew for five solid minutes signifying that the last log had gone through the band mill. With huge stacks of cut lumber remaining, the planing mill continued until May of 1957 when lumber activity in the Mohawk Valley shut down. The mills equipment was auctioned off as two hundred buyers from all over the western states came in late May of 1957 to buy the sawmill, box factory and planing mill equipment. It only took one day for it to be sold. Amazingly, within two weeks of the auction only two or three families remained in town. In essence, the town was deserted, all the other houses became vacant and abandoned, In 1959, Harvey West Sr., offered California Fruit Exchange $450,000 for the remaining property, which was 10,482 acres of timberland, town, farm and meadowland. West, a large timber operator based in Placerville, CA, now owned a town comprising 42 houses, a clubhouse, store, butcher shop, dairy, warehouse and school for about $43/acre. Included in the semi-ghost town were the water and hydro power plant rights. This once bustling community now was desolate of people. But, the West’s had plans for the area. With paved highways spreading throughout the west, the accessibility factor once a hindrance was fast becoming an asset. The early 1960’s saw great advancement in highways, freeways and ownership by average people of automobiles. So, Harvey West and sons formed the Graeagle Land and Water Company to manage their properties. Water was obtained from Long Lake high in the Lakes Basin. The area surrounding Graeagle surveyed and created lots of roughly one-third acre in size. Sales were held to only 40 lots per year and these went for $1995 to $3500 per lot. Then beginning in 1974, townhouses and cluster homes were built. Graeagle Meadows Golf Course was constructed between 1968 and 1970. Tennis courts were added in 1974. Today, the West family maintain the beautiful town of Graeagle in much the same manner of yesteryear, providing modern services for the community and developing small segments of their holdings. The downtown perimeter of Graeagle has been preserved with its historic charm of an earlier period of Plumas County history. Several different versions of how Graeagle (pronounced Gray Eagle) got its name have been produced. One is that a man named Edward D. Baker came to the area in 1856 on horseback stumping for the election of the famous explorer John C. Fremont. Fremont’s nickname was the Gray Eagle of Republicanism and therefore the name, Gray Eagle. Another version is that a local Indian Chief, named Grayeagle, once resided here and thus the name. By the way, there is a local creek called Gray Eagle Creek. But more modern day history has it that when the California Fruit Exchange took over, they wanted to change the name of the town from Davies Mill to something else. They came up with the idea of a town naming contest for the company employees. The prize was to be $25. Well, a bookkeeper for the company, Belle Burn, daughter in law of Mrs. Arthur Davies, was looking outside when she saw the sign designating “Gray Eagle Creek” and she came up with the idea to merely drop the “y” out of gray and make it into one word. Thus the new name “Graeagle” won the contest and gave the community the name that it enjoys to this day.